Franklin TN heavy towing company, Harpeth Towing & Recovery provides 24hr heavy duty truck towing services in Franklin, Dickson, Nashville and on I-65, I-40, I-840, US-431 and US-231 throughout Central TN. Our fast response heavy towing operators are Wreckmaster Certified and have the knowledge to tow and recover your asset as quickly as safety allows ensuring you’re back on the road ASAP. With a fleet of multiple heavy wreckers and a 50-Ton rotator, we have trucks and tools needed to get the job done. 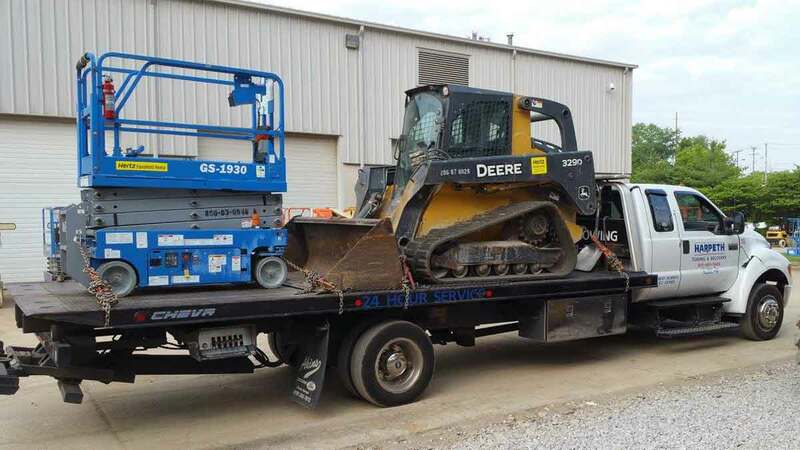 Call our 24hr Heavy Duty Towing Dispatch Line at 615-591-7445. 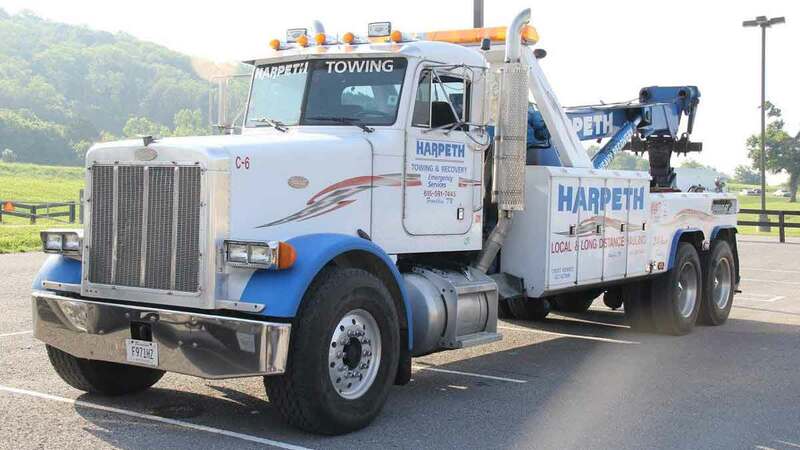 Effective heavy towing service requires experience and local knowledge to ensure your truck is towed safely along approved roadways and bridges – Harpeth Towing & Recovery has that knowledge and experience. To ensure the highest quality of customer service, we have dispatchers available to assist you 24 hours a day, 7 days a week, 365 day out of the year. For all your emergency heavy towing needs, we will provide you with reliable service you can trust at prices you can afford. Bus towing and RV towing company, Harpeth Towing & Recovery is your source for experienced and professional RV towing and bus towing in Franklin, Dickson, Nashville, and on I-40 & I-65 throughout Central TN. We understand how delicate RV and bus bumpers and skirting can be and take great care to safely tow all RVs, buses and motor coaches. Our trained team of heavy towing operators have towing experience with all brands of large RVs and will provide the best possible service for your vehicle. 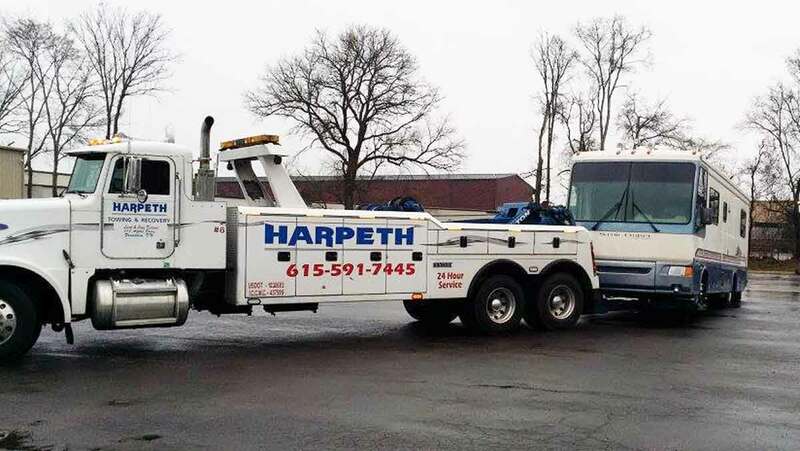 The heavy towing team at Harpeth Towing & Recovery is your trusted choice for RV towing and motor home towing. Call our 24hr dispatch center now at 615-591-7445. Franklin TN work truck towing company, Harpeth Towing & Recovery provides medium duty towing, work truck towing, box truck towing, delivery truck towing, and more in Franklin, Brentwood, Dickson and on I-840, I-65 & I-40 through Central TN. Our work truck towing experts are ready to respond to your medium duty towing needs. We regularly provide work truck towing for landscape trucks, box trucks, truck & trailers and more. Call our 24hr Medium Duty Towing Dispatch Line at 615-591-7445. Harpeth Towing & Recovery is proud to offer temporary semi truck trailer storage and cargo storage. Are you doing a driver swap? Or do you need to store your trailer or cargo while your truck is receiving maintenance? Whatever your reason, we are here to provide short term trailer storage and cargo storage for your semi truck or commercial truck cargo. Call 615-591-7445 to speak to Harpeth Towing & Recovery about your storage needs.